Railroads played a key role in the war, dictating the movement of armies and even the location of battles. They were also prime targets. 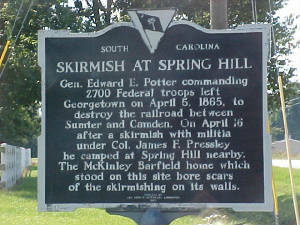 On his sweep through South Carolina, Sherman discovered that there were several trains loaded with military supplies south of his line of march on the Wilmington & Manchester RR that ran through Sumter. He ordered that a force be organized from the various Federal garrison units on the Carolina coast to march inland and destroy the trains and their cargo, "even if it should cost 500 men." A provisional division of 2,500 men, commanded by General Edward E. Potter, was assembled consisting of two brigades of white and black infantry, plus cavalry, engineer and artillery companies. 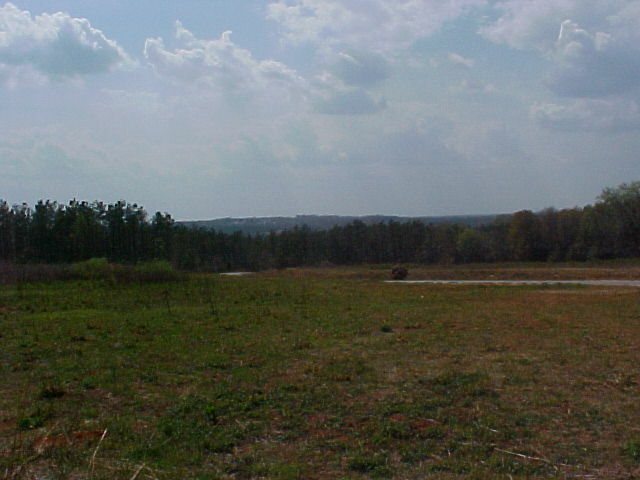 The stage was set for a raid lasting 16 days, much of which took place AFTER Lee has surrendered. Capt. Decker has obtained the use of over 36 square miles through which the original raiders passed. Resisted by local Militia and the remains of the famed Kentucky Orphan Brigade. This event is by invitation only !!! To discuss an invitation please email Capt Decker at mailto:ddecker@uscsumter.edu . this is not to be exclusionary but there are certain standards that must be met to insure a quality event for those who participate.